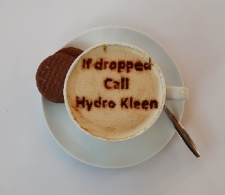 At Hydro Kleen (Scotland), we understand that accidents happen and we are just as happy to arrive at your home to treat a spillage or stain as we are to clean a carpet or suite. 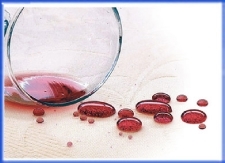 From pet stains to red wine, from chewing gum to make up and from chocolate to vomit, we have dealt with many stains in many properties and we always spend plenty of time on our hands and knees making sure that we have done our best to treat the stains before we leave. Pet stains are particularly tricky for householders and they require additional specialist treatment which we provide. This includes urine neutralisation which standard carpet cleaning does not do as it requires specific, targeted treatment and deodorising specific to body fluids. Please remember though that not all stains can be removed and we will advise each customer individually upon assessment of the stains in question. HKS carpet cleaning fact - Research has shown that Britain has some of the dirtiest carpets in the world. Protecting your carpets and upholstery from stains is vital as it prevents your fabrics from rapidly absorbing spills and becoming permanent. It also helps to prevent your carpets from readily absorbing dirt on a day to day basis. This buys you time to blot the spillage and save your carpet or suite. We are happy to provide stain protection for old and new items and at competitive prices and we can protect brand new carpets for a lot cheaper than you would pay at a carpet retailer.